The hot weather in Auburn, CA and Colfax, CA and throughout Nevada and Placer counties really got the ants on the move! Our technicians reported that many of our customers in Auburn, CA and Colfax, CA and Placer and Nevada counties were seeing a significant increase of ant activity around their homes. Why do ants invade your home? There are several reasons. 1. During hot weather, they’re looking for protection from the heat. 2. The workers are always in search of new food and water sources to support the growing colony. 3. If you have nests near your home, it is likely they will find their way inside. Most often, the ants we’re called upon to control are Argentine ants. 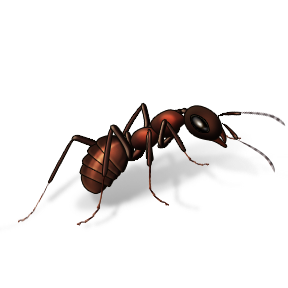 The Argentine ant is the most common ant occurring around households and gardens in California, and Placer and Nevada counties are no exception! This ant is about 1/8 inch in length and is a dull brown color. They usually nest outdoors in shallow mounds. The Argentine ant likes sweets and will be attracted to plants around your home that produce fruit or attract honeydew-producing insects such as aphids. Once inside your home, they will seek out sugars, syrups, fruit juices, fats and meats. Long trails of thousands of ants may lead from nests to food sources! Hopefully this doesn’t happen in your kitchen! But if it does, call us today!